A temperature recorder (often called a temperature monitor, or data logger) is a portable device used inside refrigerated trailers that is capable of independently recording temperature over a defined period of time. Common brands of temperature recorders include TempTale, Ryan, DeltraTrack, and Locus Traxx. The data can be retrieved, viewed, evaluated, and shared with any stakeholder participating in the cold chain such as shippers, receivers, produce brokers, and transportation companies. They also become key pieces of evidence if a temperature related claim or dispute occurs. There are some key areas that every driver should be aware of when it comes to temperature recorders, in order to make sure that they will provide the most accurate reading possible. They are related to the recorder’s construction and performance, position, and placement. Most temperature recorders have an internal thermistor or thermocouple, or can be connected to external sources. Sampling and measurement are periodically taken and digitally stored. Many recorders have a built in display of data with newer models having an out of tolerance warning. Most recorders are small (the size of a mobile phone), battery powered, and portable; most are also equipped with a microprocessor, internal memory for data storage, and sensors. It is becoming more and more common for temperature recorders to interface with personal computers and smart phones for set up, control, and analysis. Governing quality management systems require calibration to national standards and compliance with formal verification and validation procedures; the schedule for calibration depends on the amount of use a recorder device gets. It is critical that the recorder is in good working order and turned on at the start of a trip. The recorder will be insignificant if its performance is not verified. Drivers are also advised to cross-check the serial number written on the device with the serial number written on the bill of lading, to ensure they match. If they do not match, the shipper must be advised prior to leaving the shed and the driver must wait for instructions. The position of the recorder is critical to make sure that they provide an accurate reading. According to Sensitech, a leader in temperature recorder device manufacturing and technology, the correct location of the temperature recorder is on the back right pallet facing the doors. 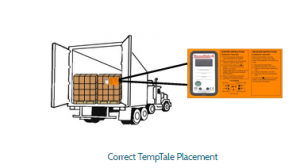 If the temperature recorder is to be placed before the last pickup, or is required for every pickup, the recorder should still be placed on the last pallet for that pickup. 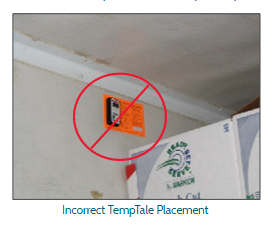 Temperature recorders should not be placed on trailer walls because this allows heat that is conducted through the trailer’s walls to affect the reading produced by the recorder. Recorders must be placed on the top of boxes on the pallet in order to provide an accurate reading. The temperature recorder must be placed carefully so that it is not damaged. Need a refresher or assistance in any loading particulars? 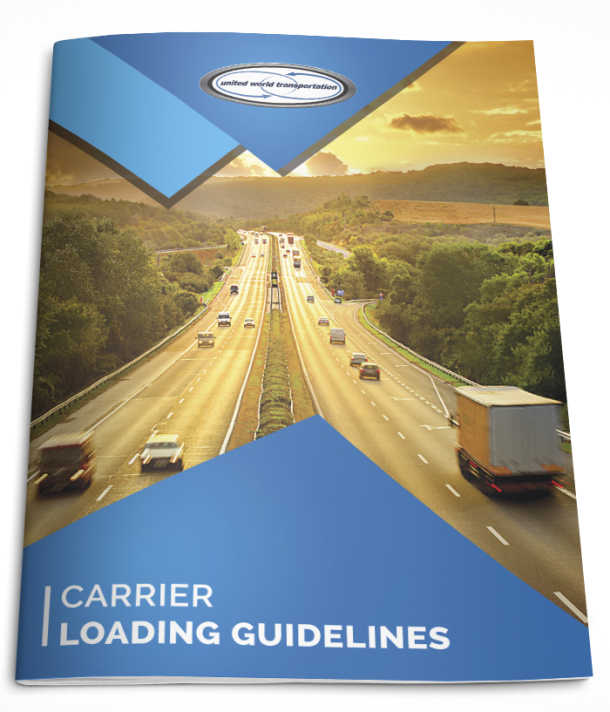 Call us anytime, and refer to our Carrier Loading Guidelines. And, remember, ALL PRODUCE LOADS MUST BE RUN ON CONTINUOUS, regardless of the type of product!!!! !